Welcome to Mr. and Mrs. Fish! The world's finest performing arts marine education program, is the husband wife team of Jeff & Deb Sandler, better known as Mr. and Mrs. Fish. Geared to elementary aged children and their families, Mr. and Mrs. 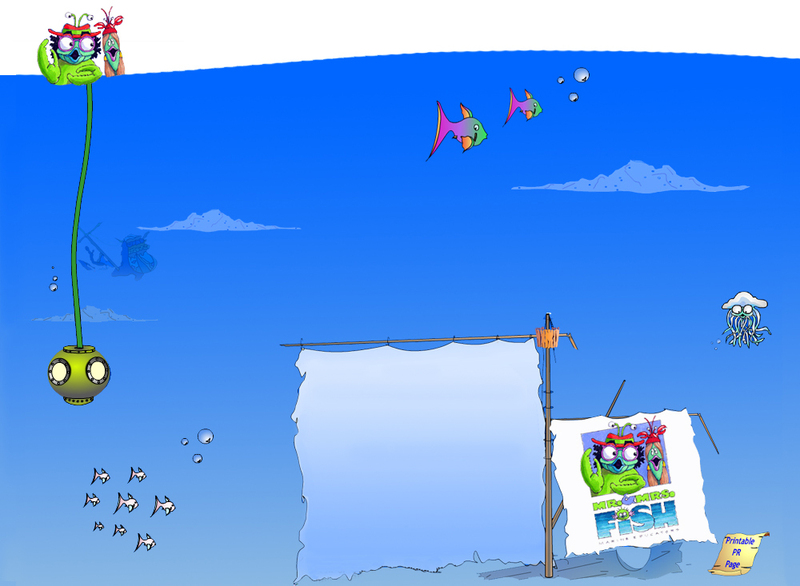 Fish are global ambassadors for ocean learning having performed in 20 countries & 30 U.S. States over the past 35 years. Based at Southern Maine Community College in South Portland, Maine, Mr. and Mrs. Fish are extremely dynamic educators who teach marine science by costuming themselves as humorous sea creatures and acting out life as it is in the sea. Their creative dramatic shows in schools and communities have audiences roaring with laughter, all while gaining a wealth of solid ocean learning. In the summer, Mr. and Mrs. Fish have offered a wonderfully featured educational ocean experience known affectionately as Fish Camp. Geared to children ages 7 through 12 Fish Camp featured ocean learning done with fun, laughter and building self-esteem. Sadly, after 39 years Fish Camp has ended. If a Fish Camp style program should emerge in the future we will post information about it here. Jeff and Deb Sandler (a.k.a. Mr. and Mrs. Fish) couldn’t stand each other when they met – they were rivals for the job of education director of Maine’s Portland Aquarium. Four decades later, they’ve traveled all over the world getting kids excited about marine biology with a mix of theater, slapstick comedy, and songs. Along the way, they fell in love. Now they’ve reached the last week of Fish Camp, and they’re getting ready to hang up their flippers. Mr. and Mrs. Fish, Inc.